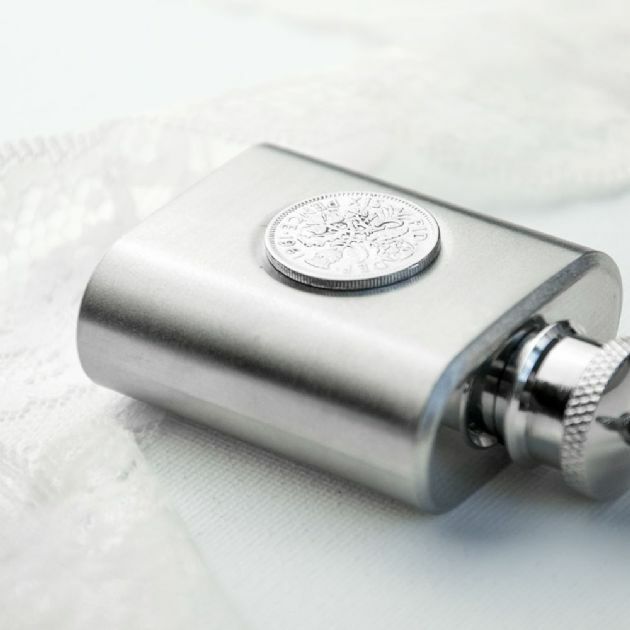 The lucky sixpence was originally given to the bride from her Father and placed in her left shoe. 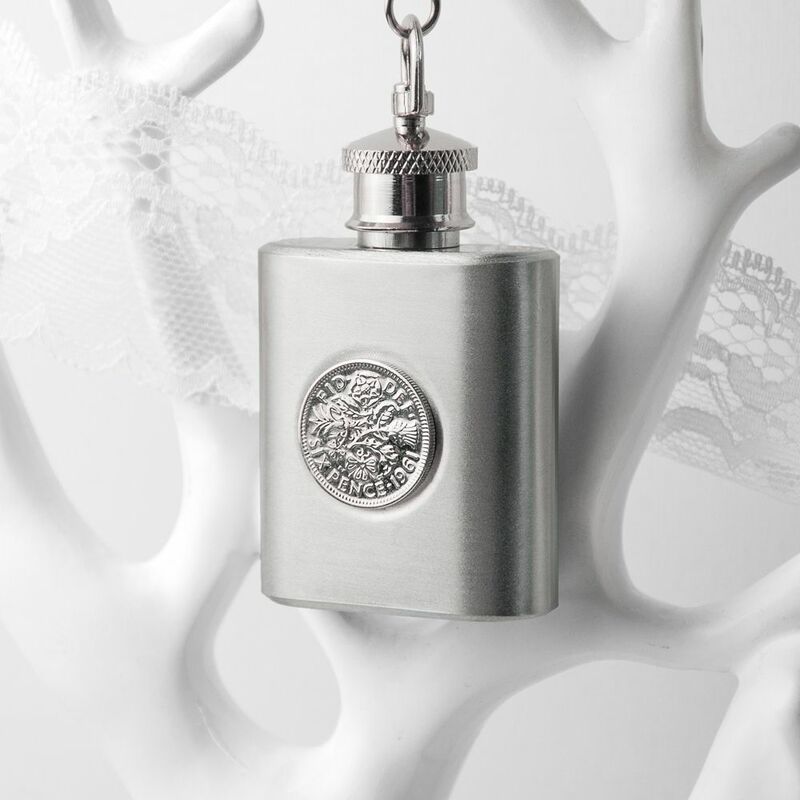 This was to symbolise good health as well as wealth but most importantly to ensure his daughter's happiness. It was typical for the sixpence to be handed down generation to generation. 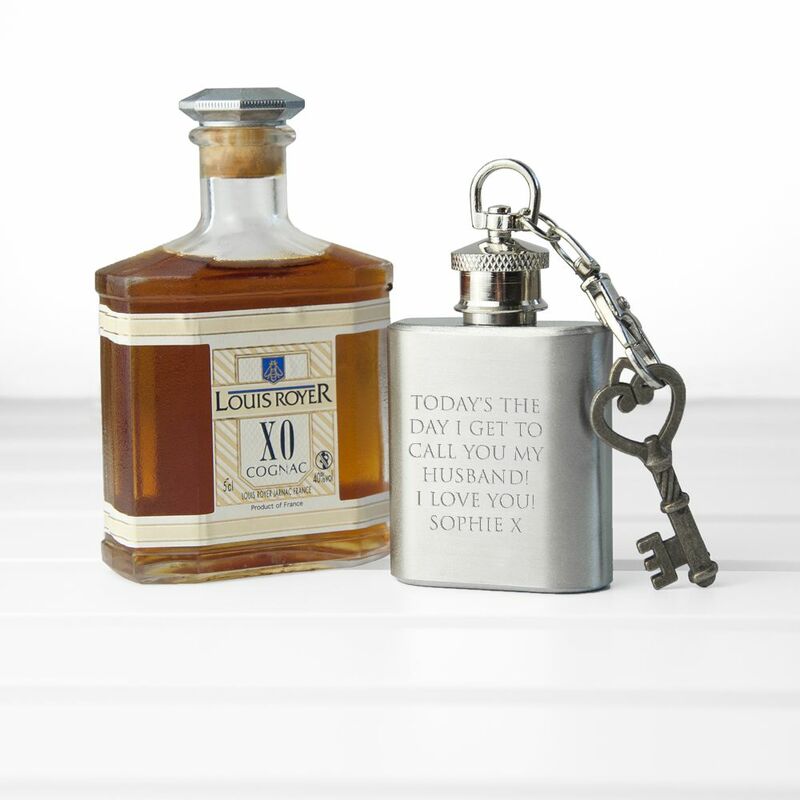 We have taken the sentiment of this thoughtful tradition and created both a practical and touching gift. 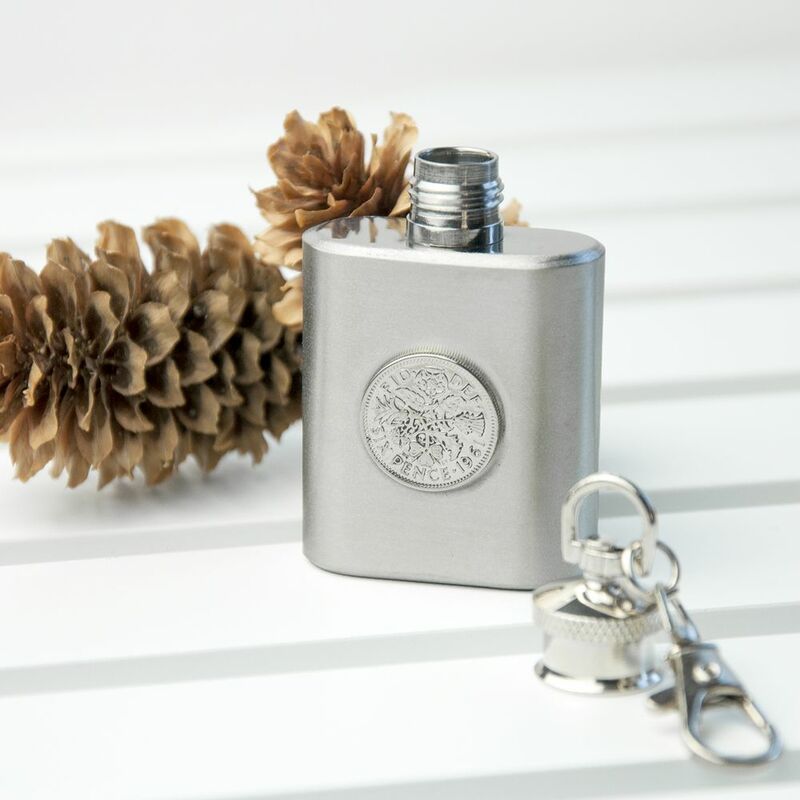 The hip flask is silver plated and can be engraved with a message on the reverse. 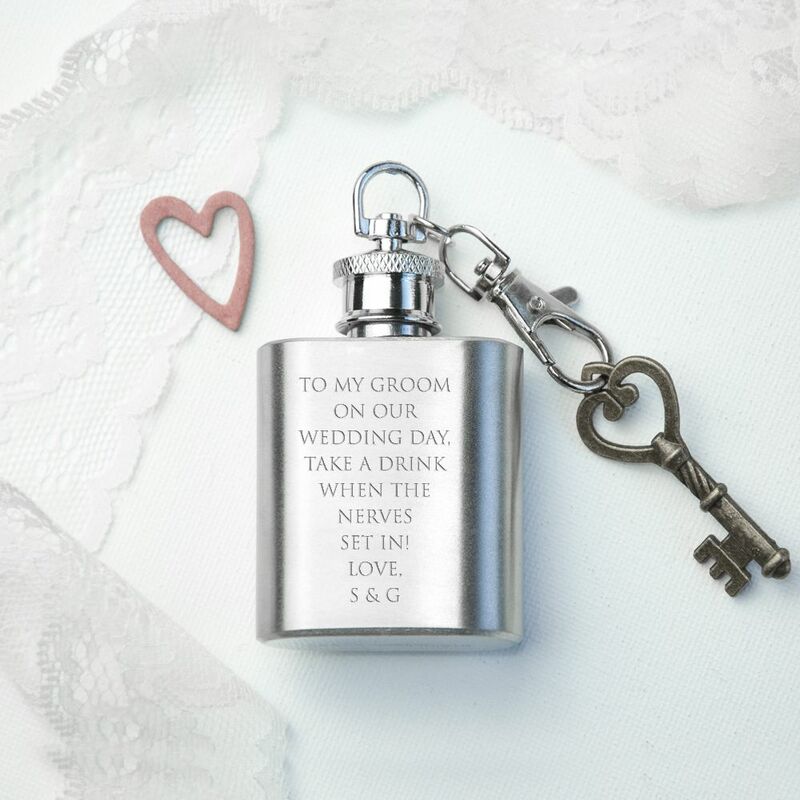 The sixpence is secured to the front of the hip flask and there is a handy clip keyring attached to the lid - perfect for easy access to calm those nerves!